When it comes to examinations there are a plethora of questions that need answered and the GRE Test is no exception. Tests can be stressful enough without the added hassle of finding out costs, submission deadlines, registration formats and so on. If you are taking the GRE Test the chances are you know the answer to this but we will answer it anyway. The GRE stands for Graduate Record Examinations and is issued by ETS.org. 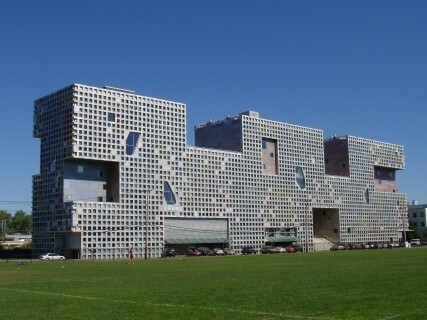 The test is used to gauge candidates’ suitability for graduate entry admission. 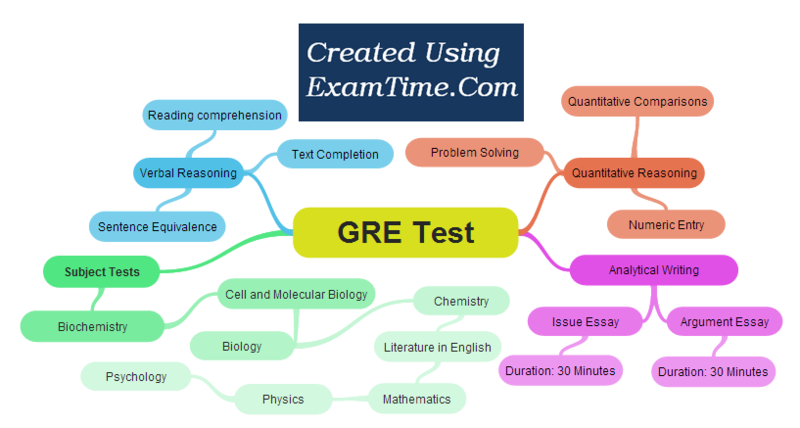 Aside from the main test there are also subject specific tests which you can see in this GRE Test Overview Mind Map. Which Grad School can I apply to? Most Graduate Schools in the United States require the GRE for admission to Masters and PhD programs, but the importance they place on this relative to other factors varies, both between institutions and even within programs in the same institution. Other factors which may be considered include GPA, prior graduate work, admissions essays, and recommendation letters. Your GRE scores can also be used as supporting documentation when applying to graduate programs elsewhere. Recently some law schools in the US have begun to accept the GRE as an alternative to the LSAT. This means that good GRE scores open more doors than ever. When and Where can I take the GRE? The General Test costs $205 ($220.70 in China). There are additional fees for later registration and rescheduling. The general fee includes sending your scores to 4 institutions. You must pay extra for each additional score report you send (so be selective in where you apply!). Some students may be able to avail of a fee reduction from ETS. Check here to see if you are eligible. What subjects does the GRE test in? The GRE tests applicants in three areas, Verbal Reasoning, Quantitative Reasoning and Analytical Writing. There is also an option to take subject specific tests to boost your application. These include psychology, physics, mathematics, literature in English, chemistry, biology and biochemistry, cell and molecular biology. For more information head on back to our GRE Index Page. Tell me something interesting about the GRE Test! Bill Gates scored 580 points in the Quantitative section and 540 in the verbal section of the GRE test.